However, I’m not actually recommending this book to most people. It’s a fantastic work, don’t get me wrong- I’ve rarely encountered a work that even approaches its depth of scholarship. That, though, is somewhat the problem- it’s an incredibly dense work. It’s loaded with facts, figures, and charts on a level comparable to your standard scholarly journal paper, and is about as accessible. Unless you already have a pretty good working knowledge of global history in that time period, as well as a little bit of climatology, epidemiology, economics, and environmental history, you’re going to be running to Wikipedia constantly. So why am I reviewing this book, then, since I usually review for the purposes of recommendations? Well, for a few reasons. If you do have the background knowledge and patience to tackle it, it’s MORE than worth the effort. More importantly, though, it illustrates several ideas I wanted to talk about. First off, the historian/ history teacher dichotomy. Though you’d think the two would be natural allies, there is something of a schism between them. It essentially boils down to historians being largely concerned with what happened, while history teachers want to know how to teach people what happened. In practice, you see a lot of historians producing works that explore a period or topic in history to incredible depth, but is almost incomprehensible to the laymen, while history teachers are often more concerned with techniques for teaching history, and both definitely feel something of a rivalry about it. The Great Transition lies almost entirely on the historian side of things- seldom have I encountered a work of history less concerned with easing its readers into the material. Second, this makes a great intro into the topic of environmental history. Environmental history is a surprisingly young science- it’s only been around since the 80s-90s, despite us being in possession of much of the data needed to start it even earlier. This can, however, be blamed on the intellectual climate dominant through most of the 20th century. Campbell himself phrases it well in The Great Transition: “…the long dominance of anthropocentric analyses grounded in either Marxist theory or neoclassical economics means that scant attention has as yet been paid to the historical roles of environmental processes and forces.” Essentially, both sides of the Cold War were caught up in a paradigm in which only human action mattered- the natural world was a mere backdrop to the events on the human stage. 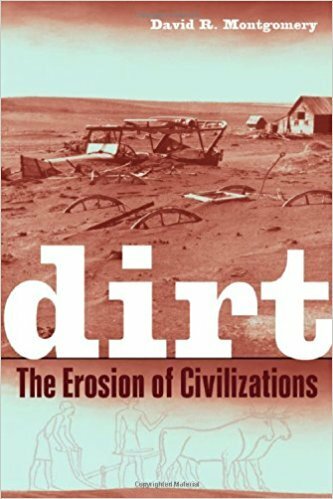 Of course, not only did this foolish anthropocentrism prevent the rise of environmental history, it also prepared the way for many of the worst environmental catastrophes of the 20th century. (For all the horrible catastrophes in the West, Communism’s environmental catastrophes were often even worse- and, notably, their ideology was arguably even more human centered than the West’s.) Since the fall of the Soviet Union, though, the intellectual environment has opened up, allowing the rise of environmental history. It has been further enabled by the huge mass of environmental, climatological, and paleoclimatological data that has been accumulated by the Earth sciences, as well as by the increasing willingness of historians to delve into those giant datasets. 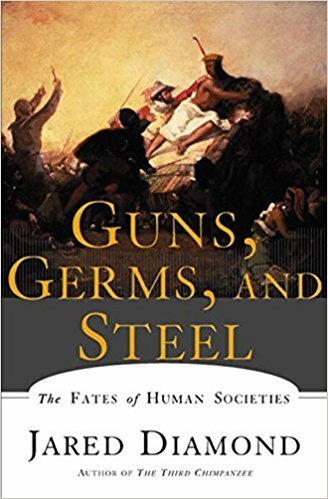 -Guns, Germs, and Steel, by Jared Diamond. One of the classics of the young science. In it, Diamond explores why, exactly, some civilizations do better than others, largely through an environmental lens. It’s also been turned into a PBS miniseries. 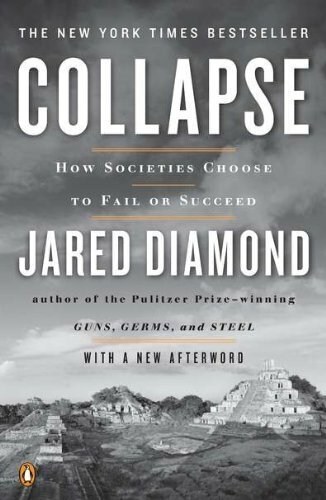 -Collapse, also by Jared Diamond: it’s something of a companion book to Guns, Germs, and Steel, instead focusing on why civilizations fail. 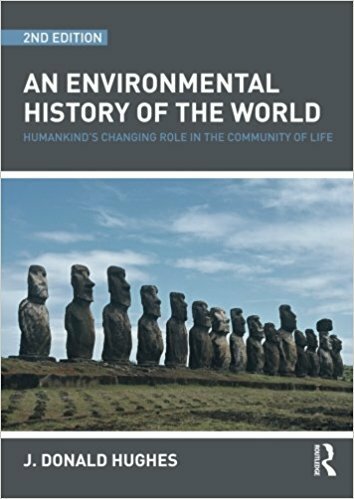 -An Environmental History of the World, by J. Donald Hughes: A short, concise, and well written textbook. Pretty straightforward. 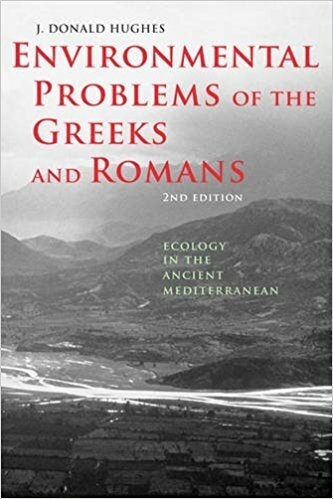 -Environmental Problems of the Greeks and Romans, also by J. Donald Hughes: This one goes in depth into how the ancient Greeks and Romans viewed their environments, and the serious problems, like topsoil loss and deforestation, that they had to deal with. Also, if you didn’t notice, I’m, uh, blogging again. At least for now.